Formerly knows as Grumpert, the brand renamed itself to Apollo and had a pretty good reason for that. 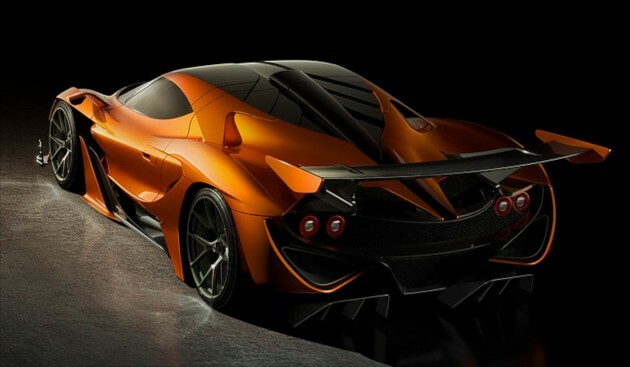 The dying company has seen a spark and has bounced back in terrific fashion with the Arrow hypercar. The car is massive, and we mean massive, in performance and looks. Debuting at the Geneva Motor Show, the hypercar comes with a pointed frame, angling at all the right places to cut through the air in style, much like an arrow. The Arrow draws is inspiration from the F22 Raptor stealth fighter, sharks, and anything else that looks deadly to behold. Packing a 4-liter twin-turbo V8 engine from Audi. It takes the Arrow from 0 to 62 mph in 2.9 seconds with a top speed of 224 mph (360 km/h). The peak power and torque max out at 1000bhp and 1000Nm, respectively, which needless to say, is a monster. The Arrow will include powered windows, electronic stability control, ABS, and a satellite navigation system as standard. The car costs less than €1 million, which makes it more affordable than most other hypercars out there.